We’d love your help. 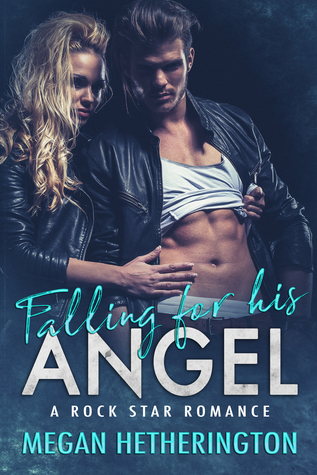 Let us know what’s wrong with this preview of Falling for his ANGEL by Megan Hetherington. There was some amazing rock music in the eighties, and that's where this story starts. Jonny has natural talent and is effortlessly cool. He can have his pick of girls in London, but that's not enough. Intent on making it in the rock world with his band, Crash, he is side swiped by an instant infatuation with Dutch rock singer, Eliza. She's mysterious and more experienced tha There was some amazing rock music in the eighties, and that's where this story starts. She's mysterious and more experienced than Jonny, but afraid of commitment. He has to work hard for her love. A steamy, angsty romance with characters and places that will live on in your heart. Set in some of the best rock and roll hang outs on the planet. To ask other readers questions about Falling for his ANGEL, please sign up. I was a gripping book that kept me hooked. I can't wait to read number two and see how the story ends! A really good first book, I can't wait for the second. Writes steamy contemporary romance novels, usually whilst listening to music. A sucker for a HEA. Bookbub:https://www.bookbu Writes steamy contemporary romance novels, usually whilst listening to music. A sucker for a HEA.